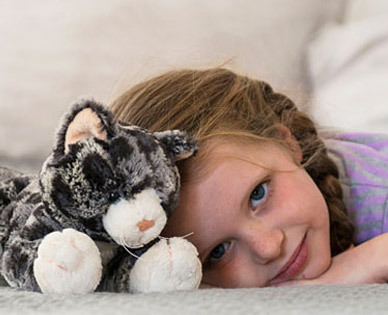 We sell adorable, high-quality, child-safe stuffed Cats and Dogs at below wholesale. Mary Meyer Stuffed Toy Company (based in Townshend, Vermont and in business since 1933), manufactures over 400 different kinds of stuffed Cats, Dogs, and other plush toys every year, and distributes them to retail stores throughout the USA and Canada. Our designers create up to 150 new products each years and retire older designs. 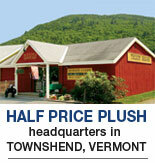 Half Price Plush has a steady supply of top-quality stuffed animals. These plush Cats & Dogs can be resold, used for charities or fundraising, for prizes or party favors, or anywhere you need great plush toys at a discount. Sold by the case. Order below or call us toll free at 1-800-387-7814.